Laser Dermabrasion is the gentle ablation of the superficial layers of the skin to promote regeneration of the skin and cell turnover, resulting in a smoother more youthful look. These laser dermabrasion peels are used to improve and smooth the texture of the skin, removing fine wrinkles, enlarged pores and sun spots. Our technician has the ability to create a customized treatment, by controlling the depth and region of your treatments. This results in a treatment catered specifically to your needs. Treatments can extend from light to medium exfoliation to deep collagen remodelling, ideal for patients who want dramatic rejuvenation effects, but are not inclined towards aggressive surgical or chemical alternatives. This treatment is suitable for all skin types and tones, with minimal patient downtime. Ablative Laser is used to safely and effectively resurface the skin, stimulate collagen production and reduce texture, hyper pigmentation, and fine lines & wrinkles. Comfort levels vary per person however most can expect minimal to mild discomfort, depending on the aggressiveness of their treatment. Topical Numbing is applied for patient comfort before MicroLaser Peels and Deep Fractionated Laser Resurfacing. Downtime will always vary per individual as settings will differ. Full consultations are required for an accurate assessment. Immediately following ablative laser peels you should expect some mild redness that can last up to 48 hours and most patients can resume their daily activities right away. Strenuous exercise must be avoided for 48 hours as the sweat can cause irritation and itching. You must avoid direct UV exposure for a few weeks following treatment and wear sun screen at all times while outdoors. Deep dermal collagen remodelling begins immediately and continues to build as the skin heals and repairs itself. Lines and wrinkles begin to plump and smooth out. Texture/unevenness in the skin is reduced. 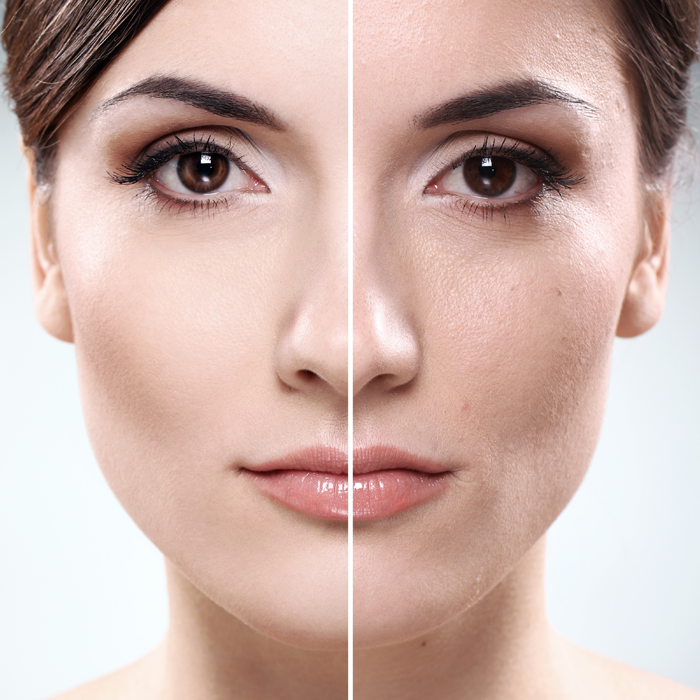 Pigmentation spots appear lighter and more faint as the skin creates healthy new cells to replace the old dead skin. Leaving you with a brighter, more youthful and radiant complexion.